Undoubtedly, the highlight in Dr Gerard’s recent history is the change in the graphic design of the packaging. The new packaging reflects the new brand positioning, which aims at building Dr Gerard as a strong “umbrella brand”, emphasizing our competitive advantage, i.e. the wide portfolio of our cookies and wafers, but above all paying attention to the unique taste of our cookies, because that’s what consumers value the most about us. The new packaging can already be seen on store shelves. 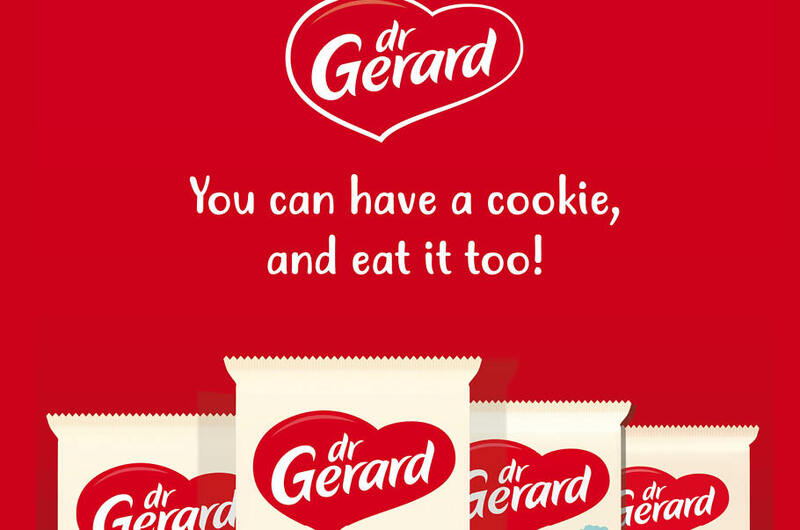 They are, of course, distinguished by a large red heart - the Dr. Gerard logo - and very tasty photos of cookies on a cookie-coloured background.